On the + side : the gigantic half-moon shaped windows in the rooms. They feature a panoramic view of the city, mostly of the highest buildings. 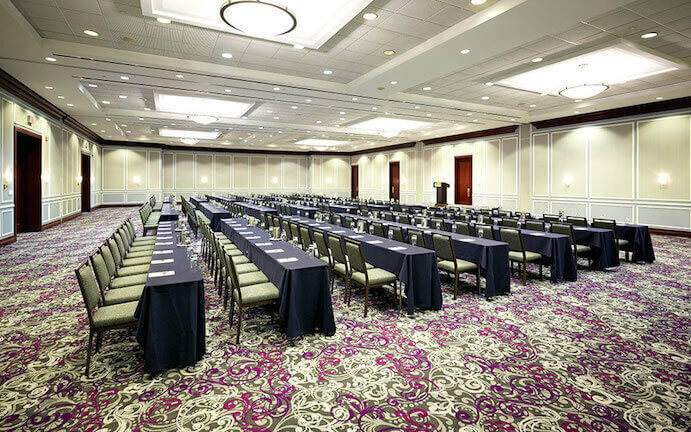 While ultra design boutique hotels are the rage now, the Marriott Champlain is a bit dated with its old school decor and hushed atmosphere. A ‘classicism’ that nevertheless has its own fans. A large tower of 36 stories built for the 67 Universal Exhibit by a student of Frank Lloyd Wright, the Chateau Champlain is one of the first modern hotels of Montreal. If its architecture was bold in the 60s, we have to admit that the building didn’t age very well and is now invisible in Montreal’s skyline. Our impression of the Marriott as a dated hotel is confirmed when one walks through the doors of the lobby: flowered carpet, wood sheatings, vaulted ceilings decorated with gold leaves… While innovative designed boutique hotels are becoming more and more popular, this old school classicism stands as corny. Love it or not, the Marriott still manages to book its 611 rooms, which places it at the third rank in the city terms of hotel capacity. 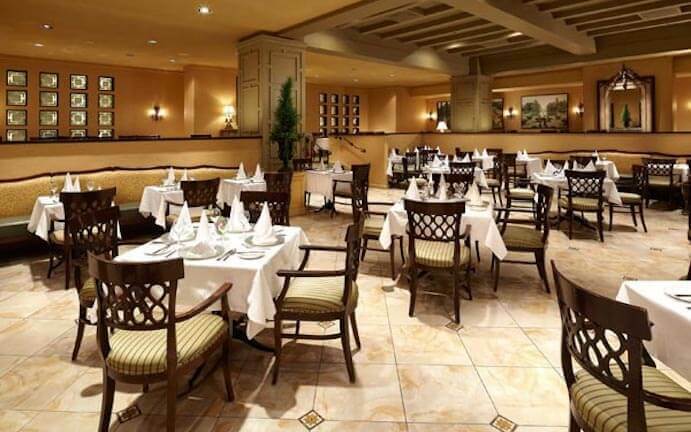 What the guests of the Marriott (mostly American baby-boomers) like is this dated classicism that one can find in the hotels of the chain across the world. Cleanliness and comfort are guaranteed as all the rooms feature impeccable beddings (king size beds in all the rooms). 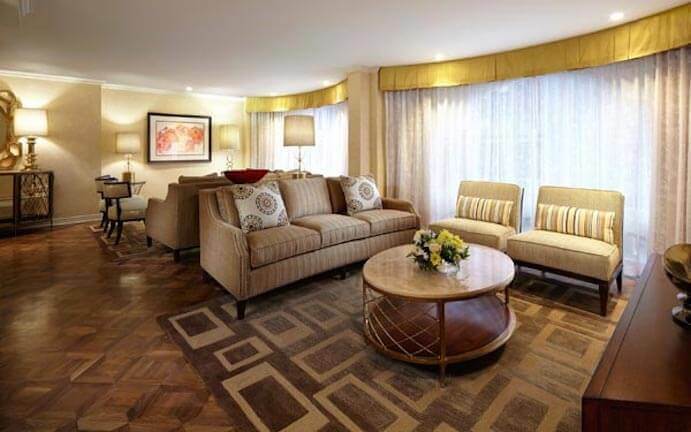 Renovated in 2012, all the rooms feature a classical decor in beige, brown, and white tones. 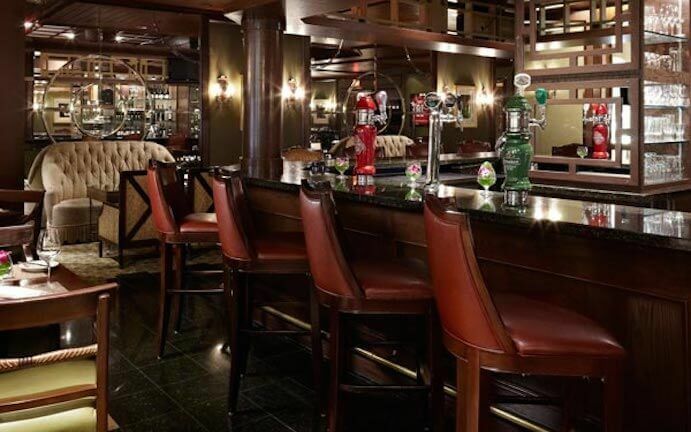 You can enjoy the free wifi, mini bar, bathrobe, iPod statio for $269 per night. What sets the Marriott Champlain apart are the concave shaped windows, the architectural signature of the hotel. 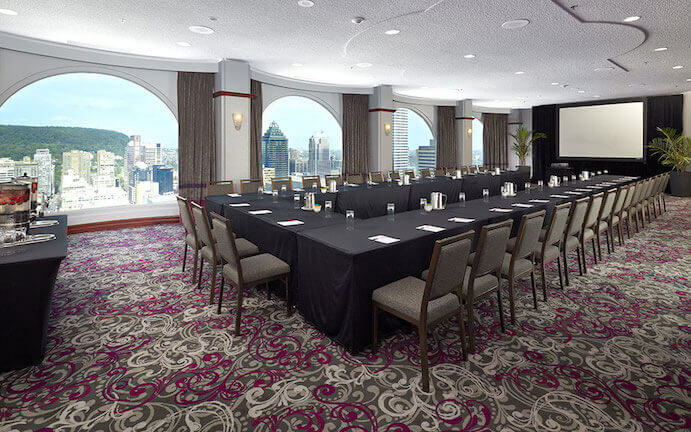 In a half-moon shape, they confer some standing to the rooms while featuring a panoramic view of downtown skyscrapers. Don’t be shy to ask for a room on one of the highest floors to really enjoy the view. 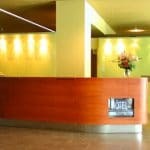 Overall, customer service is correct and professional though impersonal (which is to be expected in a 611 room hotel). 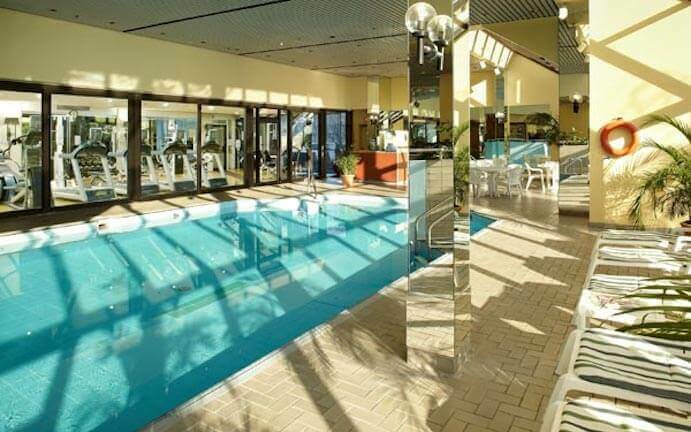 The hotel also features a gym, a pool, and a restaurant/bar. Breakfast is not included but there is a Starbuck on the ground floor. 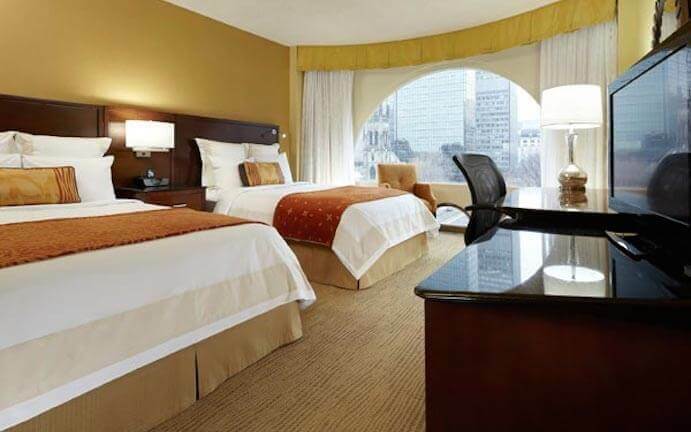 Right next to the Bell Center (a great spot for hockey fans) and facing the Place du Canada (a spacious green space busy during office hours), the Marriott enjoys a great location as it’s only at a 5 minute walk from Sainte-Catherine Street and 10 minutes away from the Old Montreal. You’ll also enjoy direct access to Bonaventure metro station (orange line).